In the summer of 2008 the crossover classical music group Fordante was created. 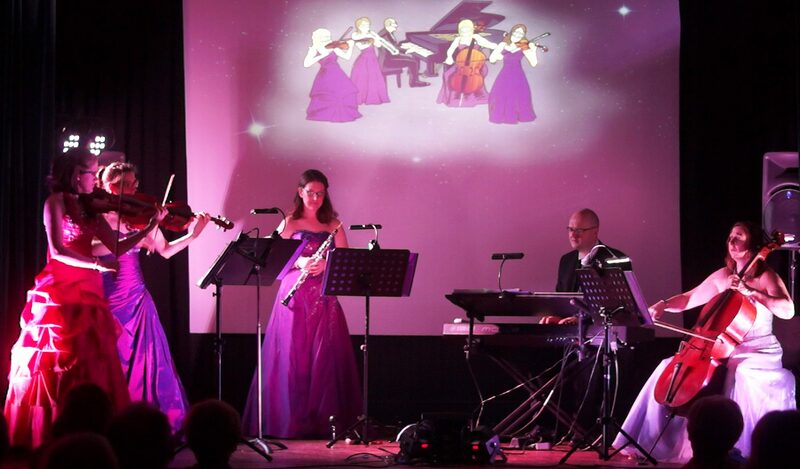 Drawing on both his classical and film scoring background based film composer Phil Mountford has written music inspired by the great classical and baroque composers and fused this with a contemporary sound, creating this melodic and unforgettable music. 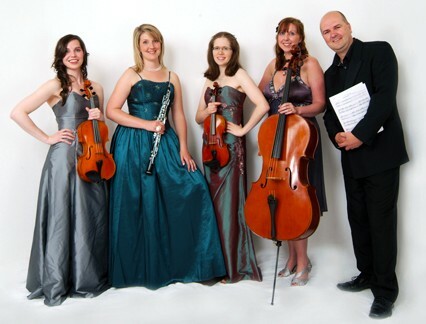 The UK Arts Council along with the Shropshire County Council have supported Fordante in taking their light classical music to new audiences allowing the ensemble to tour around England and Wales. 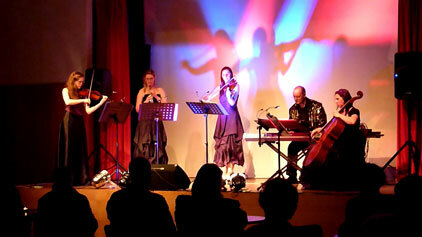 The group have been very well received by these new audiences and continue to build on this success. In 2010 Fordante were proud to be awarded ‘Best New Music‘ and nominated for ‘Best Small Ensemble‘ at the Buxton Festival Fringe. 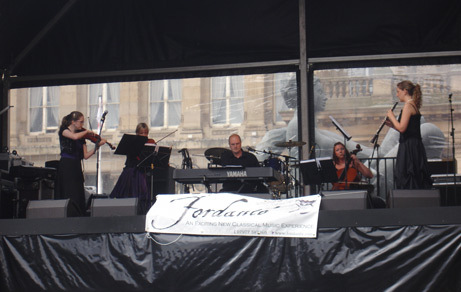 In 2011 the rural touring organisation Live & Local heard Fordante perform at the Symphony Hall in Birmingham. They were then invited onto the programming menu for the 2012-13 season performing in Derbyshire, Worcestershire and Warwickshire and were part of the Live and Local rural touring menu for 3 three years. 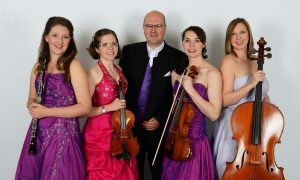 The ensemble have subsequently engaged by several other rural touring agencies throughout central England including Air In G, Spot On Lancashire, Village Ventures, Shindig, Cheshire Rural Touring, Centre Stage and Lincolnshire Rural Touring. 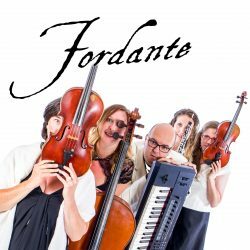 In 2016 the Arts Council England supported Fordante to tour once again performing their new music alongside popular classics engaging audiences throughout England who would not necessarily be able to experience music of this genre performed in a live setting.